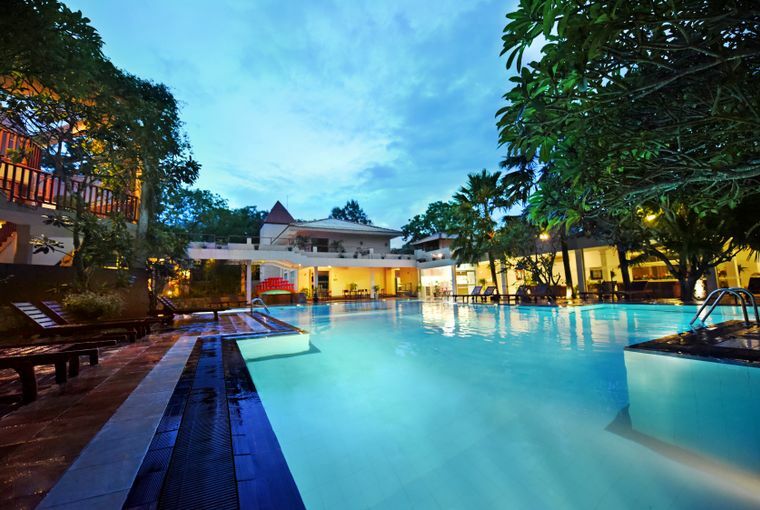 Are you looking for accommodation in Kataragama? Step into an extraordinary world fashioned for uninterrupted, luxurious peace. Nestled in the heart of Kataragama and surrounded by its beauty, the views offered from our rooms are nothing short of breathtaking. 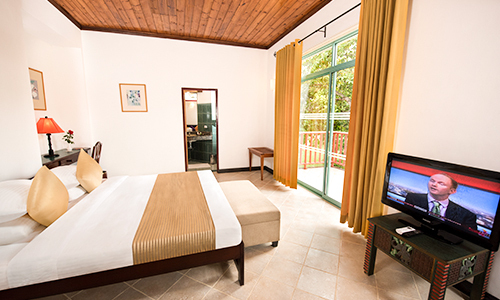 The earthy tones of the rooms, the Kandyan paintings and the rich mahogany furniture add to this enchanting atmosphere. The palatial beds are fitted with soft cotton sheets that are cool and crisp to the touch. Our spacious bathrooms include a large bathtub and a commodious counter for your comfort. 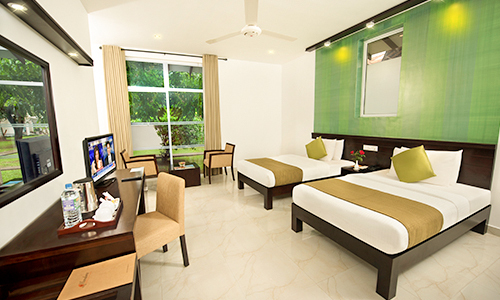 Twin Deluxe Rooms at Mandara Rosen offer the perfect blend of classic charm and modern comfort. Retreat to a Double Deluxe Room and embrace the sheer luxury and lavish comfort offered by this room. Two extravagantly-furnished and tastefully laid-out suites for guests to relax and unwind in luxury. Each suite features a private sitting area of over 100 sq.ft. as well as a spacious pantry area and two separate bathrooms.